Crazy for Contests: I Won! For people that love to win stuff! Your one stop for links to on-line Canadian contests! Good luck and let's win some free stuff! I entered the Hansells Facebook contest yesterday and I won! Congratulations! 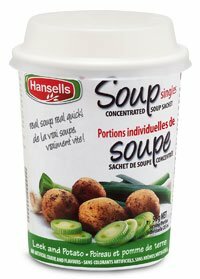 You are the Hansells Soup Singles Contest Winner for Day 4 of our contest! You have won a case of Hansells Soup Singles- 2 of each of our 4 flavours. Please reply to this email with your mailing address, and we'll send out your prize! Please post on our Facebook wall after you've tried them and let us know what you think! Enter and you could win too! Check out their Facebook page!